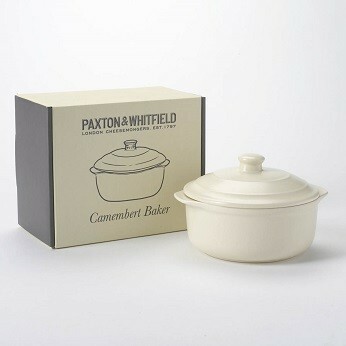 This elegant ceramic Baker is perfectly sized to accommodate a Camembert or other similarly sized cheese. There are very few dishes more instantly appetising than a creamy, oozing, bubbling baked Camembert. This elegant cream ceramic baker has an internal diameter of approximately 12.5cm, and a depth of 5.5cm making it perfectly sized to accomodate a Camembert or other similarl sized cheese. Baked Camembert can be enjoyed with cured meats, pickles, chutneys and fruit jam. Add garlic, rosemary and wine into the baker before cooking for a fragrant, savoury variation.